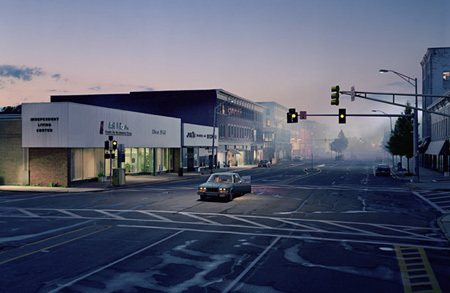 I interviewed photographer Gregory Crewdson for The Paris Review Daily, where we talked about the movies (Lynch, Hitchcock, Malick), the pursuit of things that are perfect, digital versus film, and Mad Men, of course. In the “good news” category: Wes Anderson is finally working at a quicker pace. Hooray! Fun fact, I don’t know if this remains in the final piece: Mr. Crewdson watches Mad Men on his iPad, because it reminds him of looking through the ground glass on his 8 by 10 camera, which makes a lot of sense.